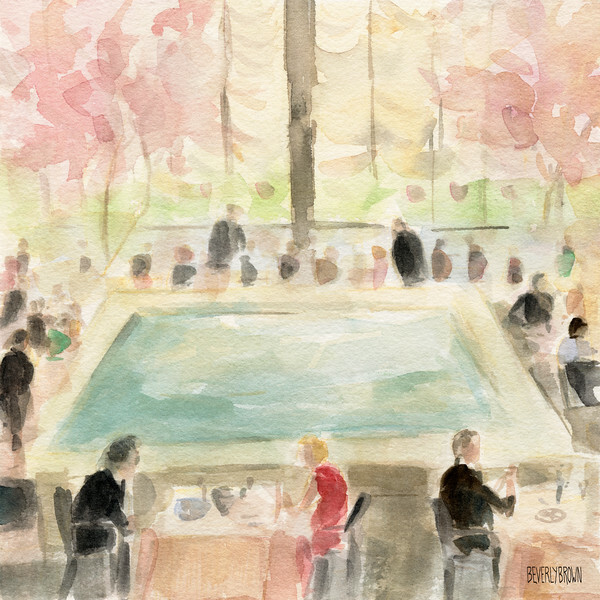 shop nowLunch in the Pool Room at the Four Seasons Restaurant, a much beloved icon of Mad-Men era New York. Upon entering, you are transported to a world of tasteful luxe, long lunches, and a certain formality that has mostly vanished. It was designed by Philip Johnson and Mies van der Rohe in 1959. Sadly, the restaurant closed on July 16, 2016. This impressionist style watercolor is available as a premium print in multiple sizes and custom framing options. Copyright Beverly Brown.